How do I embed my infographic on my website? 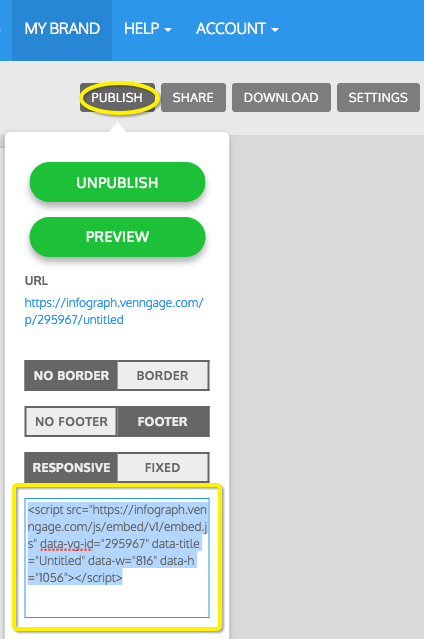 Update the title of the infographic if necessary and publish it. 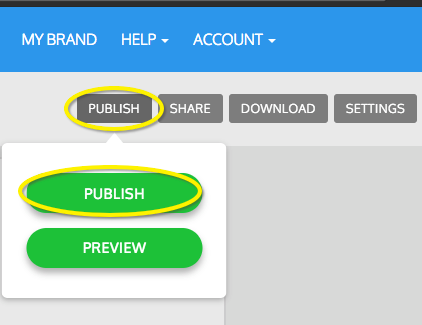 After you publish, the Embed code will be available. Copy and paste this code to your website's page editor. You can also toggle options for a border to be added or to make it a fixed width embed vs a responsive embed. 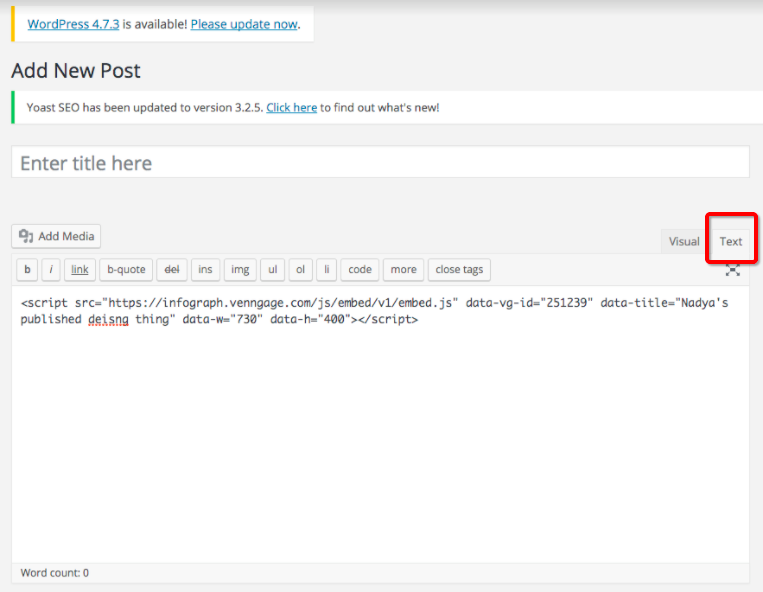 If you have a Wordpress site, you will need to "Add New Post", select "Text", and enter the embed code. Users can only embed in HTTPs= websites.